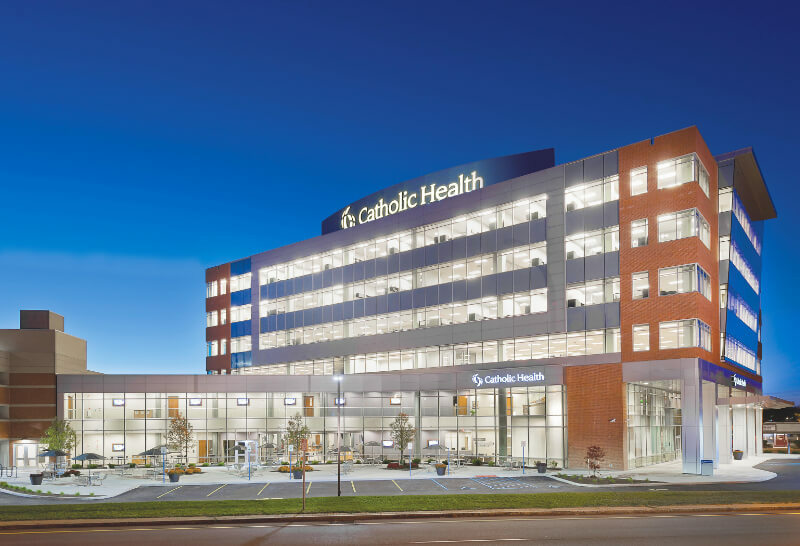 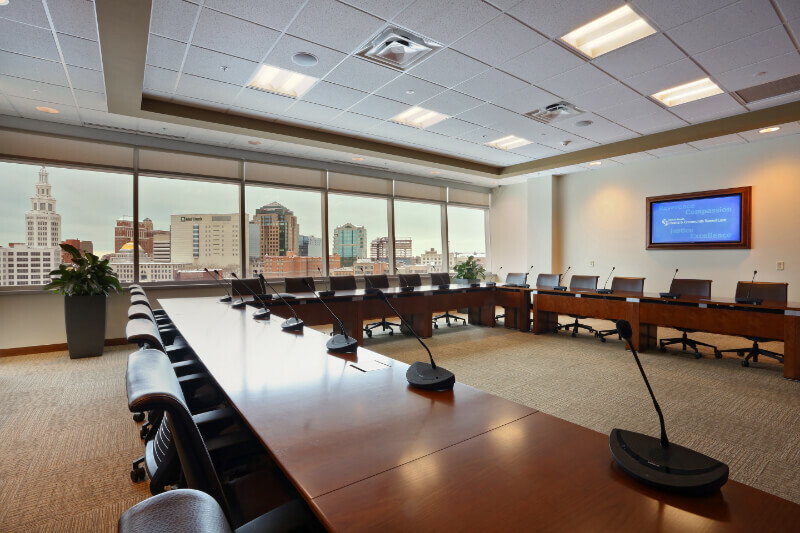 Catholic Health’s headquarters near the Buffalo Niagara Medical Campus serves as the nexus of executive, administrative and training operations for Catholic Health, a fully integrated non-profit healthcare system serving nearly half a million Western New Yorkers. 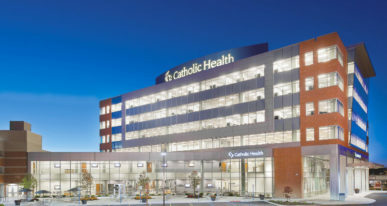 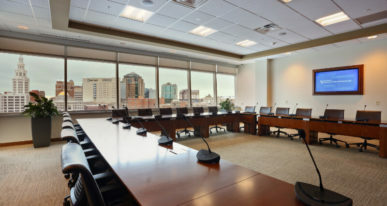 Centrally located in the region, the headquarters has enabled Catholic Health to consolidate eight previously disparate facilities into a singular facility, with an attached parking garage, for executive, administrative and training operations. 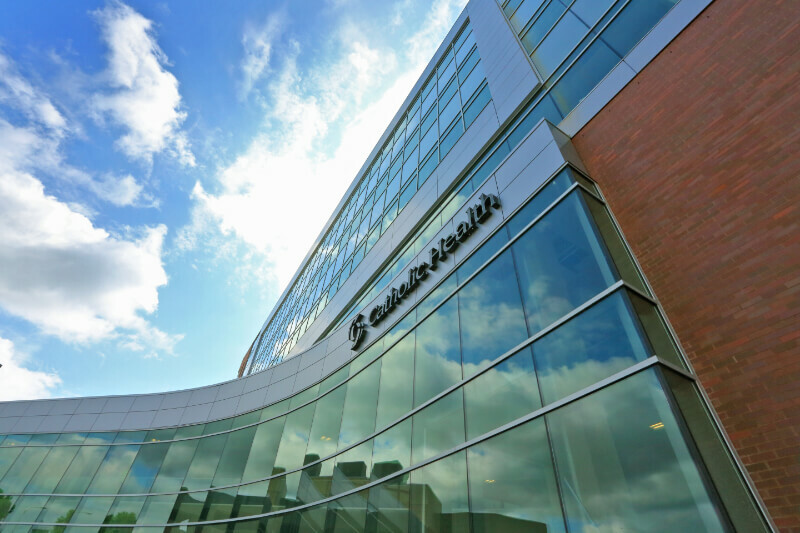 These synergies are projected to save Catholic Health $1 million per year for the next 25 years. 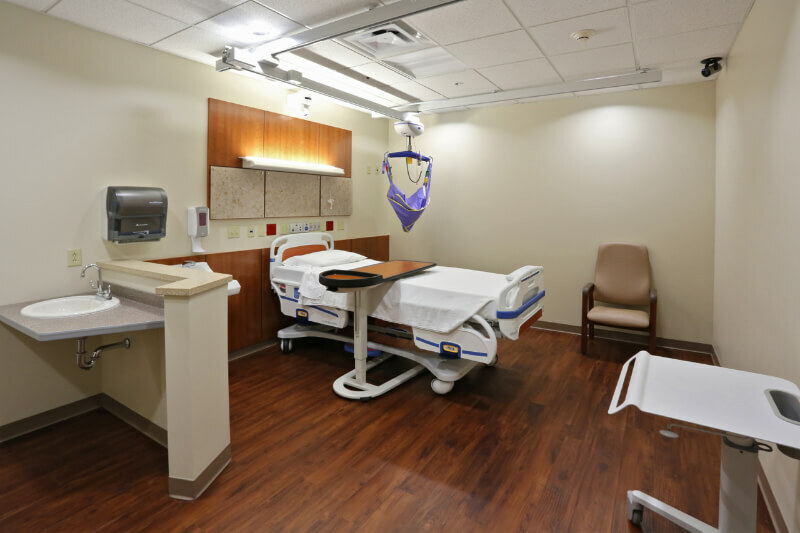 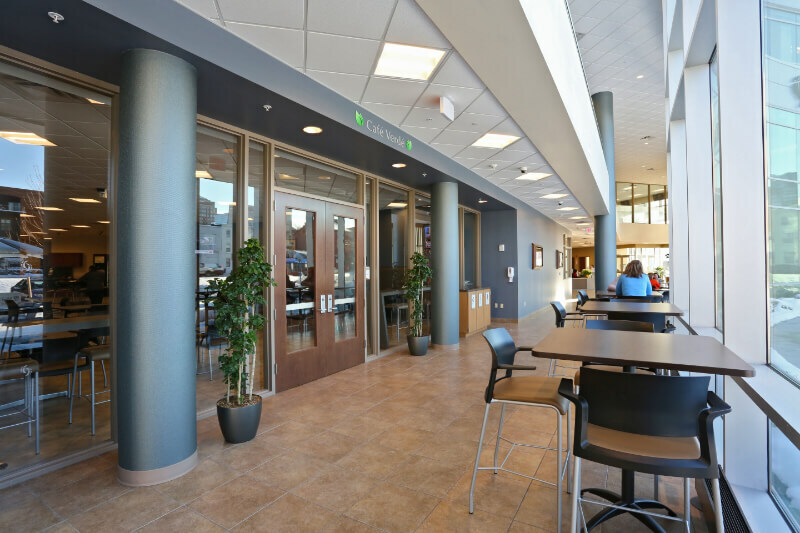 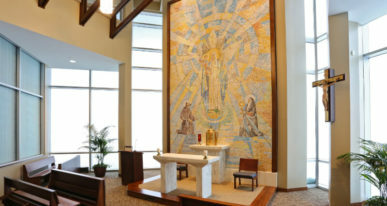 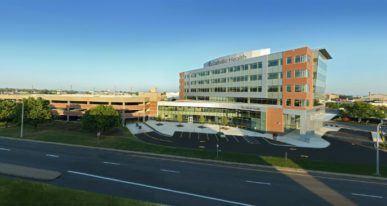 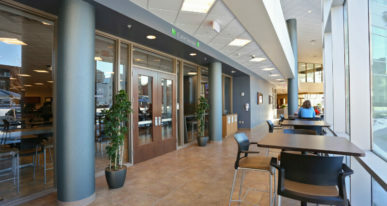 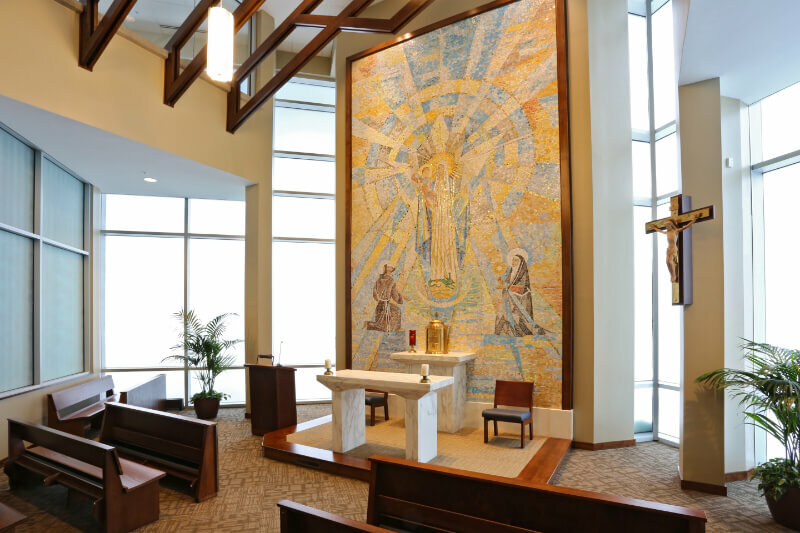 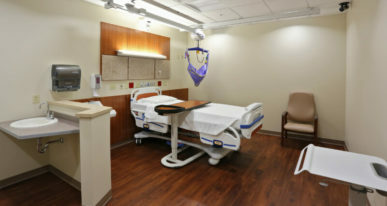 Consistent with Catholic Health’s mission and advocacy for responsible use of natural resources, the facility features a wide range of environmentally friendly features and high efficiency systems, which enable the building to achieve LEED certification from the U.S. Green Building Council. 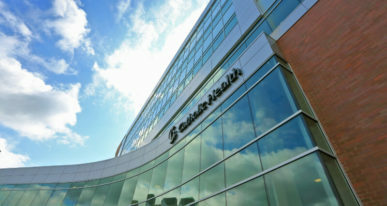 Catholic Health also has a recycling program where all non-food disposables are recycled, complex-wide.